SXSW | welcome, be my muse! 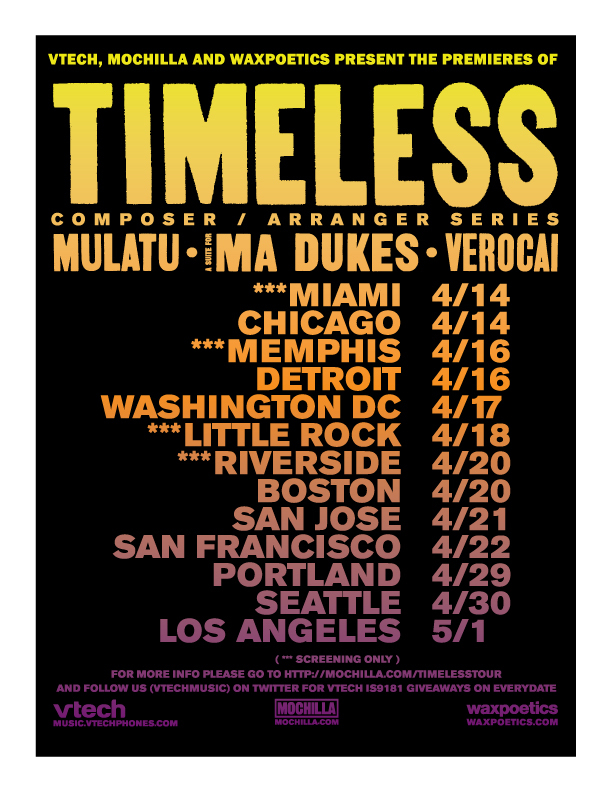 These Screenings of Timeless feature the works of J Dilla (Suite for Ma Dukes), Mulatu Astatke, and Arthur Verocai. At certain screenings J.Rocc, of the World Famous Beat Junkies will be DJing all three films, using the latest Serato technology. J.Rocc manipulates the films using vinyl on turntables to control the hi-res film files, creating an amazing megamix of all three films. absolutely stunning. “Lux Deluxe” by the Cinnamon Chasers just won the sxsw award 2010 for best music video, which was directed by Saman Keshavarz.